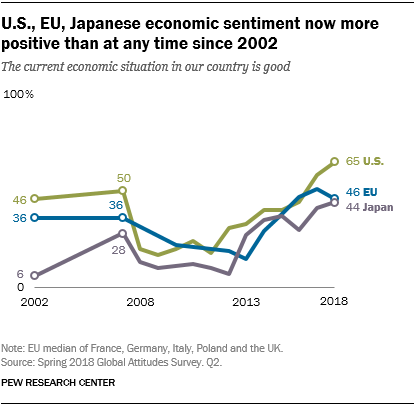 Image of the Day: Tax Cuts Bring Dollars Back to the U.S.
From the left-leaning Pew Research Center, note how something caused the number of Americans responding that the state of our economy is good to turbocharge past the Europeans and Japanese around 2016. Perhaps Paul Krugman of The New York Times has a theory. 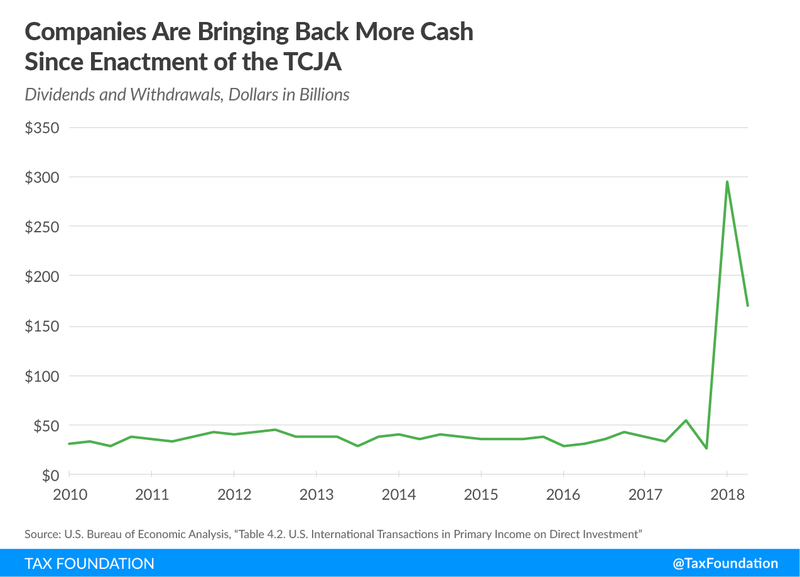 It’s clear the recovery ended in 2014 because the two hallmarks of recovery – investment’s share of gross domestic product and labor input relative to the adult population – stopped increasing. 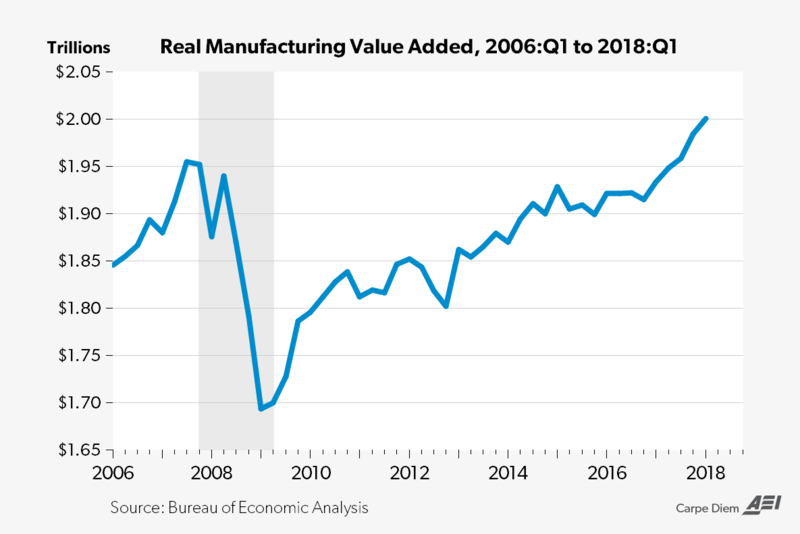 This left a large gap between actual output and the output level that would have occurred had the economy recovered to its prerecession growth path. According to our calculations, the U.S. cumulatively lost about $18 trillion in income and output between 2007 and 2016. Everything suggested this shortfall would persist or even grow. Oh, and as football season approaches, go Sun Devils. It’s another testament to how America remains the Land of Opportunity, and that Ronald Reagan’s famed optimism remains applicable today.